Managing the risk at your workplace should be one of the top priorities if you wish to accomplish your desired goals and objectives. In order to accomplish this task you need to consider all those factors that have the potential to cause harm to your project and personal related to it. In addition to this you are supposed to decide whether you are taking rational measures to check the impact of the risk. The above mentioned process is known as risk assessment and it is mandatory for a risk management team to carry it out by the books of law. A risk assessment is not about burying yourself under ridiculous amount of paperwork, if you thought so it’s about time you let go of this misconception. Understand risk management this way – a process of identifying reasonable procedures to manage the risks and minimize its impact. Although it is quite likely that you must be taking certain measures to safeguard your employees’ interests, but a harmonized risk assessment will ensure that you’ve enclosed all you need to and nothing important is left unnoticed. Imagine how unfortunate events like accidents and ill health can occur at any point of time and contemplate on real risks – most likely to impact the portfolio. For some risks, other set of laws necessitate specific control measures. Your assessment can assist you to identify the exact place where you need look for particular risks these specific control measures explicitly. A Risk can impact any project and its occurrence should be expected to occur at any point of time. Statistically, the level of risk can be computed as the product of the possibility that damage occurrence (e.g. the human resource required to run machinery is inadequate) multiplied by the sternness of that damage (i.e., the average amount of damage or more conventionally the utmost credible amount of damage). In practice, the amount of risk is usually categorized into a small number of levels because neither the possibility nor harm sternness can typically be anticipated with exactness and precision. 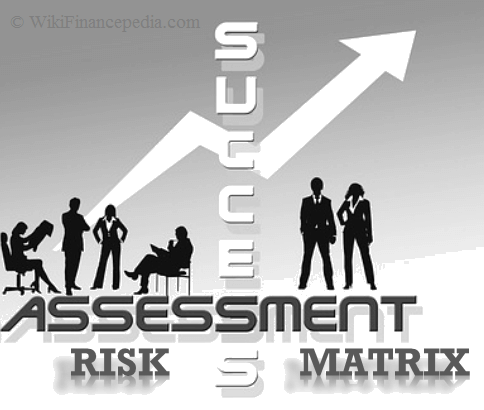 Risk Assessment uses a special kind of matrix known as the risk matrix. The purpose of this particular matrix is to determine the different levels of risk involved as the product of the damage possibility categories and damage sternness categories. Risk matrix follows a pretty simple mechanism and it is an effective one to locate the risks and help management decision making. Making the project unworthy entirely – Catastrophic. 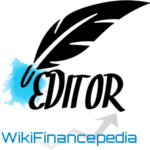 Cause heavy loss to the firm and the project – Critical. Damage caused is insignificant to cause any dominant change in the project’s accomplishments– Marginal. The damages caused are almost unnoticed – Negligible. The likelihood of damage taking place might be sub-categorized as ‘Certain’, ‘Likely’, ‘Possible’, ‘Unlikely’ and ‘Rare’. However it must be well thought-out that very low possibilities may not be very dependable. The corporation or organization then would compute what levels of risk they can accept with different events. This would be done by weighing up the risk of an event taking place against the cost to employ safety and the advantage procured from it. The following is the example of risk assessment matrix with specific accidents allocated to apposite cells within the risk analysis matrix. The following risk matrix is for any average construction company that is planning to begin its new production in the suburbs. Here is the sample document for risk assessment. You can download pdf document for risk assessment checklist along with risk assessment template from the below link. Now that you have understand about how to perform risk assessment with various types of examples through this tutorial e-learning. You can now take this sample risk assessment template and start making your financial decisions along with precaution risk measures.